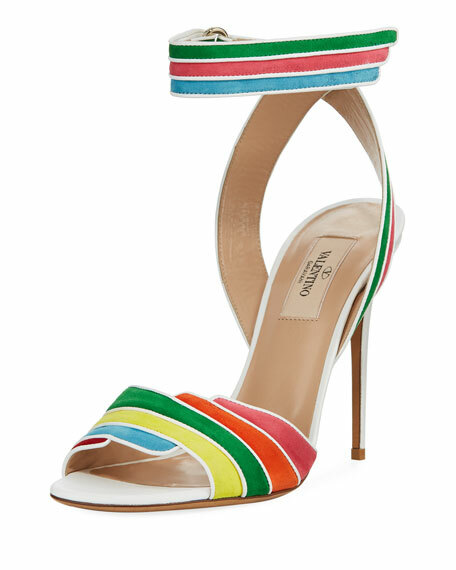 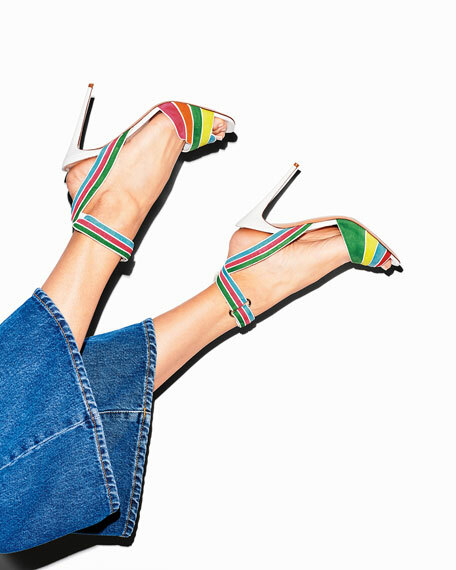 Valentino Garavani high sandal in rainbow suede. 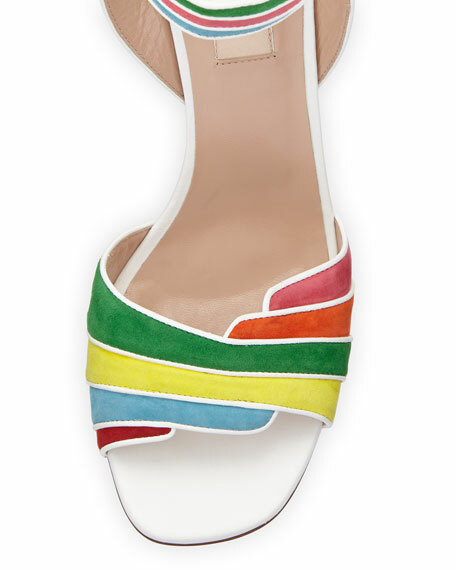 Layered strap bands open toe. 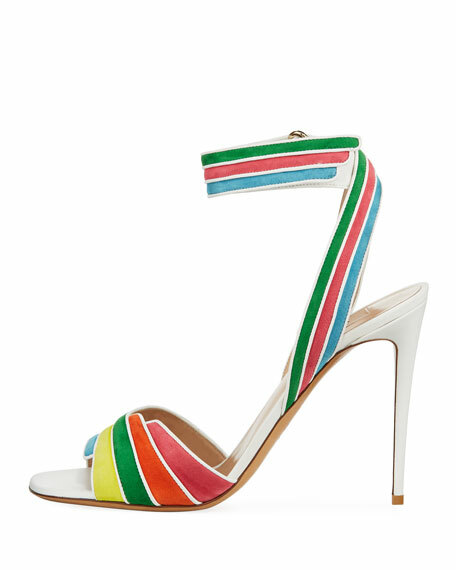 For in-store inquiries, use sku #2315614.